When I was a kid, I had two local comic book shops. One was located on California Avenue in Palo Alto: that was Comics and Comix, which I believe is no longer around in that area at all. The other was located in a little mini-mall near a doughnut shop; that was Lee’s Comics, which is still around, although in a different location. Both comic book shops had this idea for getting rid of their old stock, which used to be very common but which you seldom see these days. They would have these long boxes stuck underneath the back-issue boxes, and you could get X comics for a dollar — 12 for a dollar at Comics & Comix or 5 for a dollar at Lee’s. And since I would read a comic in a few minutes, and since I didn’t care about being up-to-date, that is where I would get my comics. And I firmly believe — I am completely serious — that this really helped to create a lot of who I am today. Because, of course, when you read comics in patchwork like that, you have this constant sensation of starting in the middle. A lot of people don’t like that feeling, and I understand that. They like stories to have a beginning, a middle and an end — and I contend that superhero comics are not really like that, but that’s another story. Anyway, some comics writer I like — Grant Morrison, very likely — has said that one of the things that is good about reading comics is the sense of starting in the middle. And when I decide to jump into a primary source, that is kind of the feeling I get, sometimes. Like, I am not going to go back and dig Isabella Bird out of the bookcase, because a) I am too lazy, and b) that awful woman, but it was clear from reading it that Bird was in conversation with a bunch of other contemporary writers I know nothing about, and that gives the text a kind of richness and strangeness that is a really valuable feeling. One of the reasons I did my thesis on the topic I did it on (a particular subtype of late Anglo-Saxon burial) is that the thing I was studying seemed engimatic to me in a way that was very, very interesting. And also because it hadn’t been done, which if you’ve ever written a thesis you’ll know is pretty much a thing. And one of the reasons I’m always buying primary sources from periods I don’t care about (I bought a big collection of source papers from like the 17th century despite the fact that I could not care less about the period, for instance; well, it was also £1) is that I love that shock of the mysterious that comes from the language and the references and the … well, everything. Presented as an example: I have opened to a random page in Chronicles of Bow Street Police-Office, Vol. 1, one of my treasures from the every-so-often Cambridge University Press sale of damaged stock. I mean, I know enough about the world of the 19th-century detecting game to get the gist of it, but it does make me want to get to know this guy better. I might be disappointed, mind you. 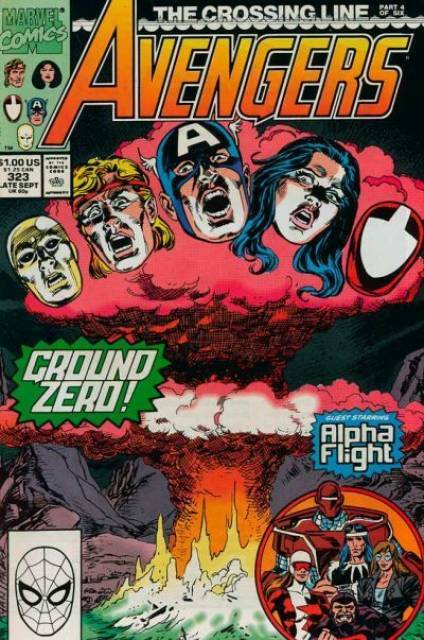 To return to my comic book analogy, when I was a kid I had a copy of Avengers #320 (an Alpha Flight crossover, no less, and with an appearance from the Avengers Soviet opposite numbers, who include Perun, the Slavic god of thunder). That issue weirded me out when I was young. They were all trapped in this weird dimension, with these little black energy … creatures … or something, and it was like a dimension Shaman had created to save the world by trapping nuclear fallout in it, I mean — it was mad. And it ended with these dead guys (from something called the Peace Corpse) returning as a huge fused cosmic monstrosity called The Combine. And there were Atlanteans in it too. A year or so ago, when I finally got a chance to read the next issue, it turned out to be really boring. But when I was a kid I thought it was weird and even disturbing. I’m always very pleased when some historical incident does turn out to be as crazy and exciting as the myth we build up in our heads, aren’t you?